In sarkari circles, an officer whom no one loves is an outlier — either cruelly termed “sanki” in colloquial Hindi (willful, unreliable) or brutally even-handed since she evenly annoys everyone. But what does one say about a politician in this predicament? Frankly, whilst it is easy for a politician to be so faceless that s/he is quickly forgotten — think H.D. Deve Gowda, it is really quite difficult for a politician to incur the wrath of everyone. Prime Minister Narendra Modi has managed this miracle. He has completely browned off 17 per cent of Indians, who are Muslims, by his inability to control the baying packs of Hindu fundamentalists. Ironically, the overwhelming majority of Hindu fundamentalists also suspect him of trying to soften and undermine, by attrition, their over-the-top version of Hindutva. Moderate Hindus are upset because they see the beginnings of unnecessary sectarian conflicts. Big businesses and their eco sphere — lawyers, consultants, bankers and power-brokers — are unsettled because they are no longer implicitly part of the government machinery. The “Delhi watering holes” are empty. This is unnerving for business which hates changes in the rules of the game. It does not help that we have never had a consistent and predictable environment of governance. This is most visible in the tax regime. If “show me the man and I will show you the rule” principle operates, then those who have their foot in through the government’s door will stand to benefit. Mr Modi has put off government servants by forcing them to be more effective in their jobs. The armed forces are smarting since they no longer feel cossetted despite the generous settlement of the “One Rank, One Pension” issue. The judiciary suspects him of trying to capture them. Parliamentarians feel neglected by the absence of direct engagement with him. For Mr Modi, inter-party relationships in Parliament are only a distraction, not an opportunity. The poor — 60 per cent of India with an income less than $2 per day— have yet to see and feel the difference that the new government has made. Mr Modi and the BJP’s traditional political base of middle class traders, small businessmen and upper-caste Hindus are the faithful who are part of the Rashtriya Swayamsevak Sangh/BJP family. These supporters remain wedded to Mr Modi. But even here, the support is primarily in the “cow belt” and western India. The other community which is deliriously supportive of the Prime Minister is that of expatriate Indians — around 20 million — but they matter only in the politics of their own homes, not in India. Can the Prime Minister do better and, if so, how? 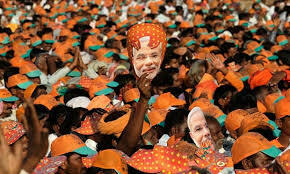 First, Mr Modi must shed the self-acquired role of the sole, vote gatherer. He needed this image to overcome inner-party contestation and become the Prime Minister. Today, this image is a handicap. Ironically, he could usefully emulate the laidback, apolitical Congress vice-president Rahul Gandhi, who comes across as trying to do something significant — though no one quite knows what — rather than just win political battles. Mr Modi has enough going for him to let his administrative ability and his vision of a “New India” be the metric of his term in office. Others must now step in and become vote gatherers. Second, it is conventional wisdom that an India ruled by a brute political parliamentary majority is an outcome of a recent breakdown in true democracy, rather than an illustration of its success. There are two reasons: Coalition governments are inevitable at the Centre due to the firm hold that regional parties have over politics in the states. This trend is likely to strengthen. In our first-past-the post system of election, members of Parliament get elected simply by getting more votes than the next candidate, never mind that these may not be even a simple majority of the total votes cast. This makes it politically sensible to develop narrow vote banks and to encourage splintering of other votes — a useful tactic, but with highly fractious outcome. The dalit vote bank of Mayawati (Behenji) or the Yadav vote bank of Mulayam Singh and Akhilesh Yadav in Uttar Pradesh are ready examples. Whilst any “ruling party” perforce has a numerical majority, it also needs to gather an “ideological majority” in Parliament — the sense of the House — to rule successfully. Coalition building will be key in the years ahead. Third, much like Anne Hathaway in the role of a young CEO of a start-up in the movie “The Intern”, now playing in the capital, Mr Modi has to slow down if he is not to burn out. He cannot be everything, everywhere. Nor should he try and do everything at once. His energy and enthusiasm is infectious and sorely needed after the “Gulliverian” sloth of the previous United Progressive Alliance government. But it is a pity that Mr Modi is not a family man. Someone needs to prescribe “play time”, get him to chill in the hills he loves, get back in touch with his gut instincts, define narrowly what he wants to achieve by 2024 and work backwards from there. This cannot be done whilst he remains the de facto chief of the BJP and the de jure chief of the government. Copying the Chinese, or the Congress way of doing things, is not a route to sustainable political heft in “New India”. Lastly, the Prime Minister needs to agree with big business that competition from foreign and domestic rivals is inevitable and desirable. Trying to pick champions, South Korea style, is incompatible with our fractious democracy. Infrastructure and defence are two areas where foreign investment is conspicuously lacking. And it shows. Sell the public sector. Privatise selectively where there is the least likelihood of noise, as in power, oil and gas. Use efficient instruments like the public-private partnership, as in the privatisation of electricity in Delhi. Modernise our archaic bureaucracy. 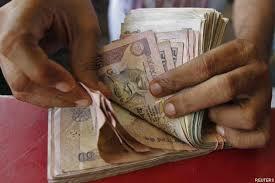 Rid it of the stranglehold of the somnambulant but elite All-India Services. Downsize the Union government to its core sovereign areas. Give leadership roles to professionals selected for specific positions. Be like Arjun and aim for the eye of the eagle — identified by Mahatma Gandhi as the service of the poor. 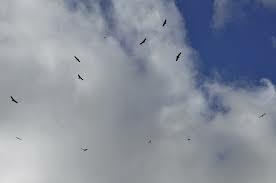 But choose an eagle which is in the far horizon, not the one preening itself in your garden. Being loved by all is of no consequence to an effective ruler. Being loved by the “right” people is more important.